Help Identify Maker & Date White Plate with Unusual Diamond Mark. 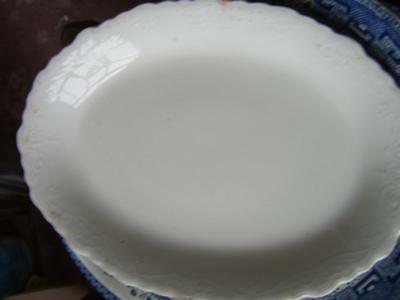 My antique plate is a very simple white plate with an unusual, I think, diamond mark in the centre. 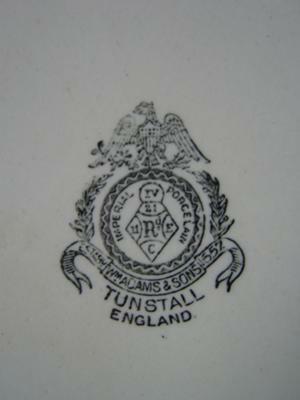 Photos included above of Plate with unusual Diamond Mark. The maker appears to be William Adams and Sons, and the diamond mark appears to date to circa 1881. I picked it up with a bundle but can’t get to grips with the diamond date or the “Imperial” reference. Comments on Des’s White Plate with Unusual Diamond Mark. This is a William Adams piece and the mark dates from c.1879 but was used into the 20th century. The mark sometimes appears with a crown on top instead of an Eagle. The fact your piece states ENGLAND, shows it to be later than 1891.